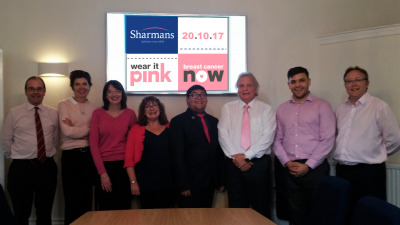 This year's Wear it Pink Day at Sharmans also featured a Charity Bake-off. In the early nineteenth century the firm opened for business in Bedford. We had a number of names over the years before becoming Sharman & Trethewy in 1892. That is a name that many of our clients still associate with us. The firm changed its name to Sharman Law at the start of this century. Now we are re-branding again to Sharmans.